Looking for a DJ for your event? Please click here to start your enquiry. If you've forgotten your password or login details click here for a reminder. Use the contact form on the next page or give us a call now on 0333 577 2247*. We'll respond asap. If you are a DJ and wish to join us for all the benefits go to the registration form here. 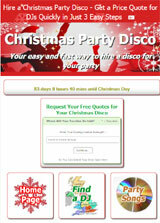 Additional information about AMPdj is provided here and Q&As are here. *Calls charged at normal landline rate and included in applicable call/bundle packages. You can request a free call-back by using our contact form here. Public Liability Insurance of £10 Million, Product Liability Insurance of £10 Million, Legal Defence costs are underwritten by a consortium of insurers led by Argo Global SE. 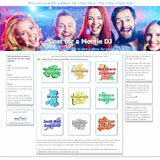 This an exclusive policy for Full Members of The Alliance of Mobile & Party DJs provided by Hencilla Canworth and underwritten by a consortium of insurers (led by Argo Global SE). It also includes Dry Hire of Audio Visual equipment.